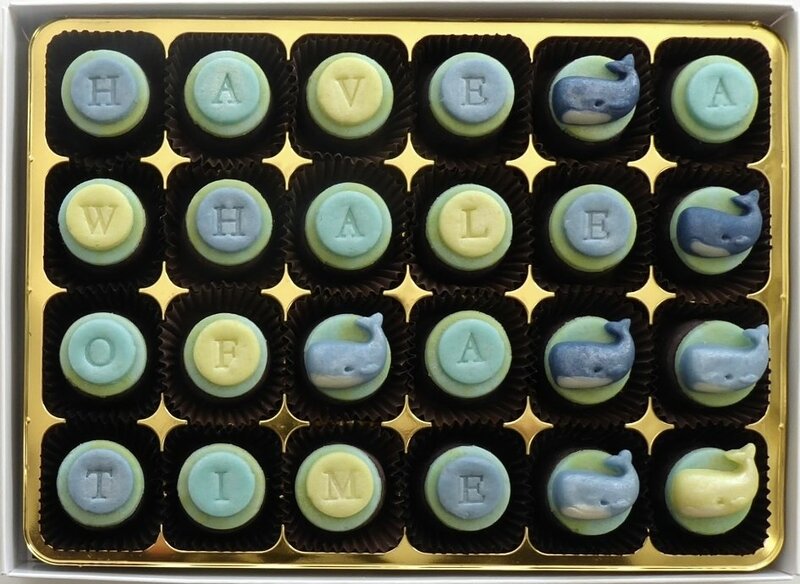 Little handmade whales in blue and yellow decorate this box of 24 marzipan or fondant filled chocolates. 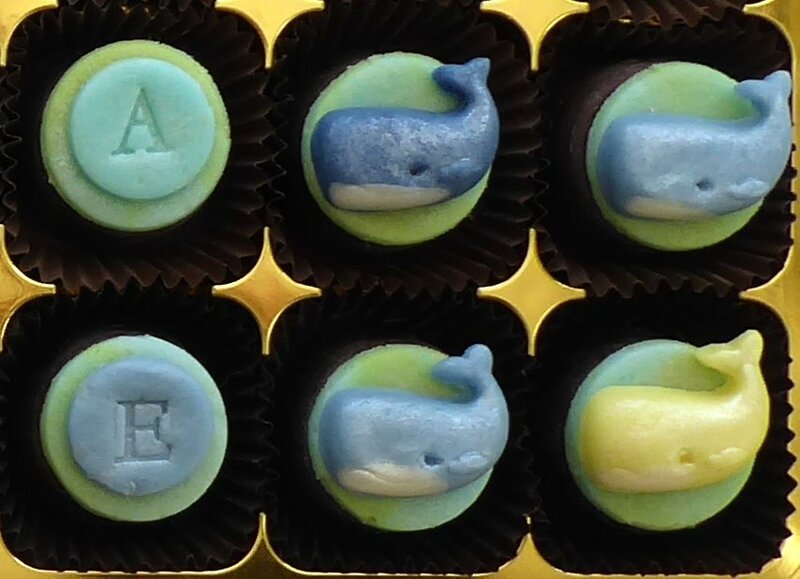 Choose our message, "HAVE A WHALE OF A TIME", or enter your own message - or just have a box of whales! Choose from quality milk or dark chocolates, with a choice of fillings. 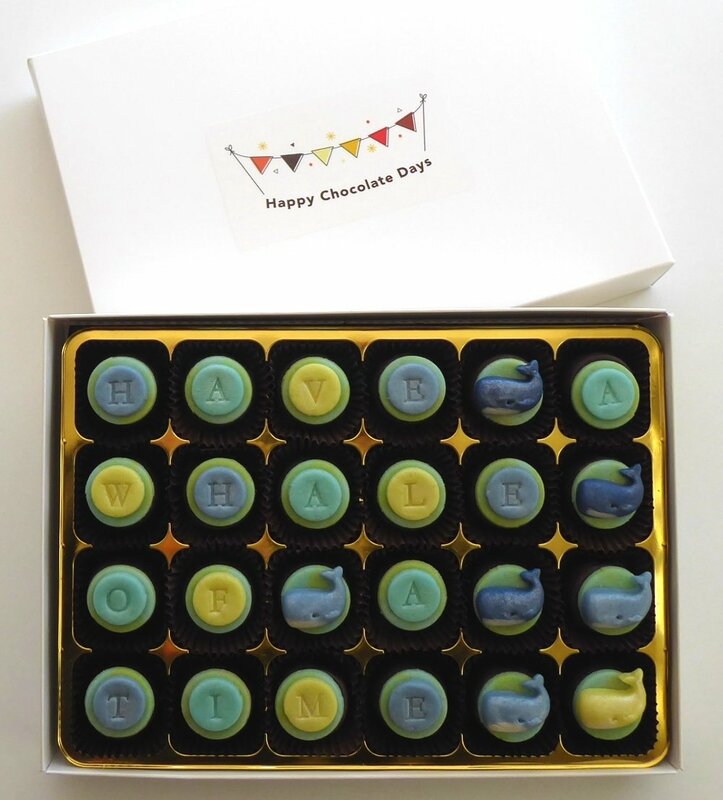 Personalised chocolates that are truly unique.